On average, we rehabilitate about 220 animals each year in our Wildlife Rehabilitation program. About 60% of these animals are returned to the wild. The costs for daily care and maintenance (including food, veterinary care, shelter, grooming, etc.) at the Rick McPherson Outdoor Education Center and Wildlife Rehabilitation Center are approximately $180,000 per year. Your donation helps us care for the animals, birds of prey and injured wildlife residing on our campus. 2019 Calendars featuring our Farm and Wildlife animals are on sale now! The WCS calendar features 12 months of our beautiful animals and their real life stories. Stay up-to-date with furry and feathered friends while supporting care of our animals.Calendars are $15.50 each, including shipping and handling within the U.S. Available while supplies last. All proceeds benefit Waterford Country School animals at the Farm & Wildlife Center. A gift for yourself or for someone special…Your sponsorship will benefit the life of the farm friend you fell in love with and his/her category of animals on our farm. We will send you or your gift recipient a certificate of sponsorship with a 5×7 photo of the animal and his or her story. Like all living creatures, our animals may become ill or pass away. If your animal leaves for any reason, your gift will be transferred to another animal for the duration of the sponsorship year. No ownership rights are conferred by this transaction. 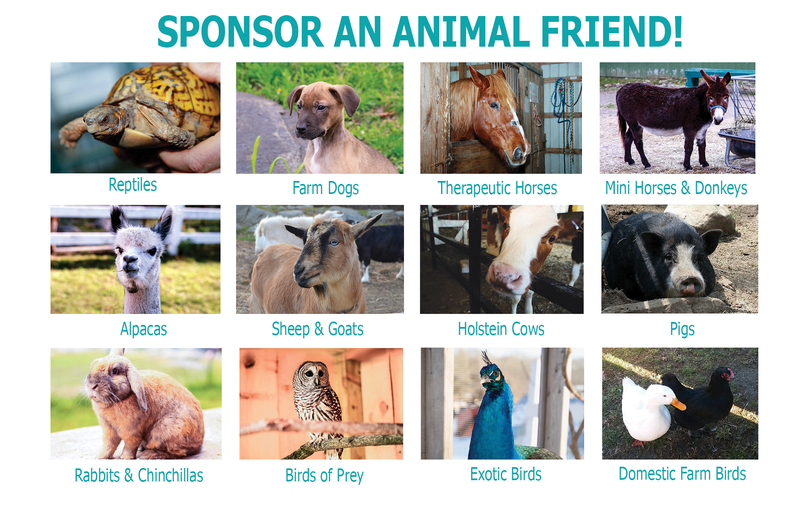 You are always free to visit our farm and your sponsored animal! Tours can be arranged by appointment. This gift is 100% tax deductible.